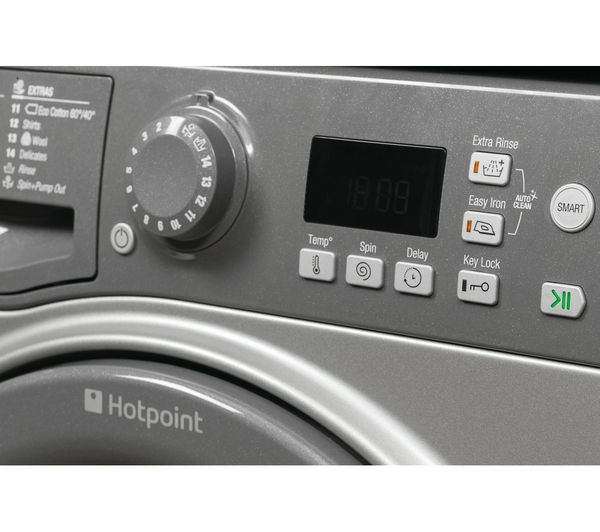 Make things easy for yourself when you take on the laundry chores with the Hotpoint Smart WMFUG842G Washing Machine. 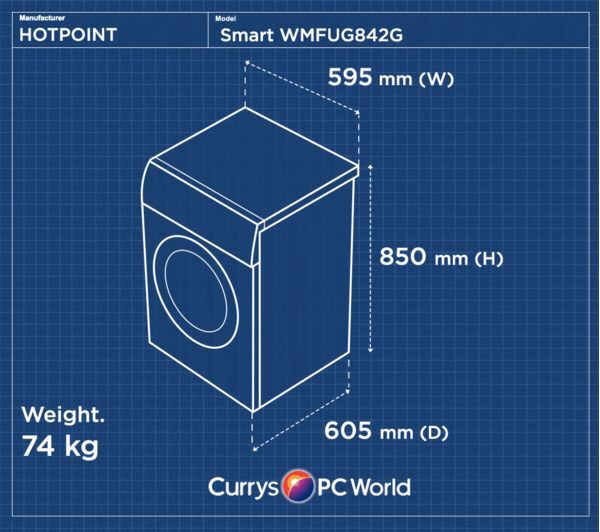 Expect better wash performance and cut down on the amount of energy and water you use thanks to the WMFUG842G's innovative Smart features. 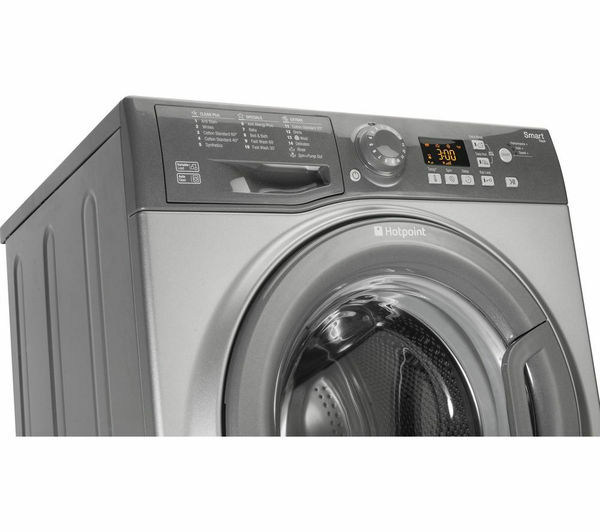 Delivering maximum fabric care and rinsing performance, the Smart WMFUG842G recognises the size of a load and manages water levels and drum action for optimum results. 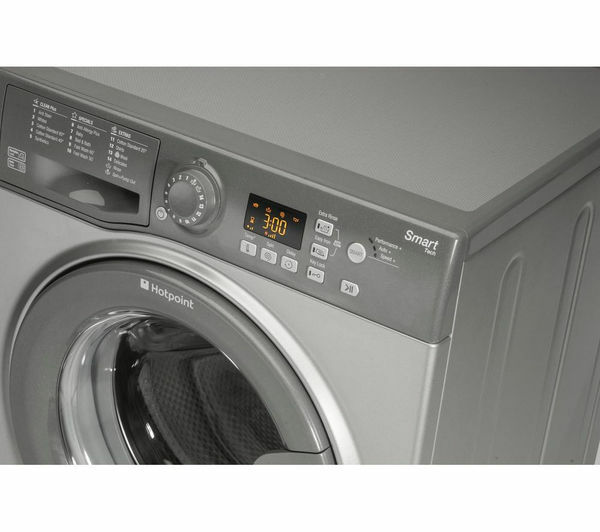 Speed+ automatically raises the water temperature and increases movement in the drum to get the most out of detergent. 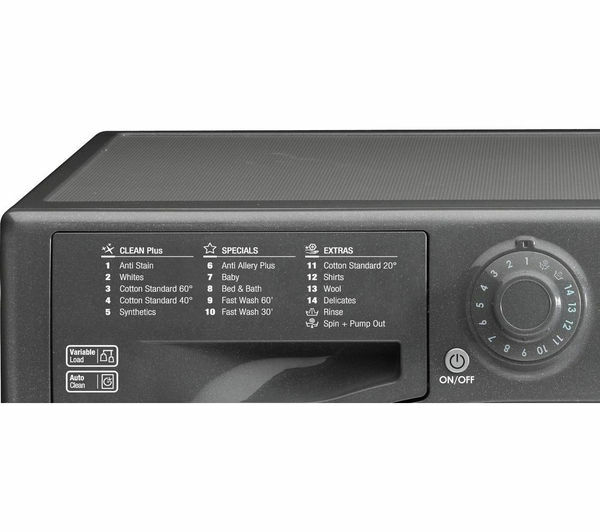 Any excess residue is removed at the end of the cycle for better results. 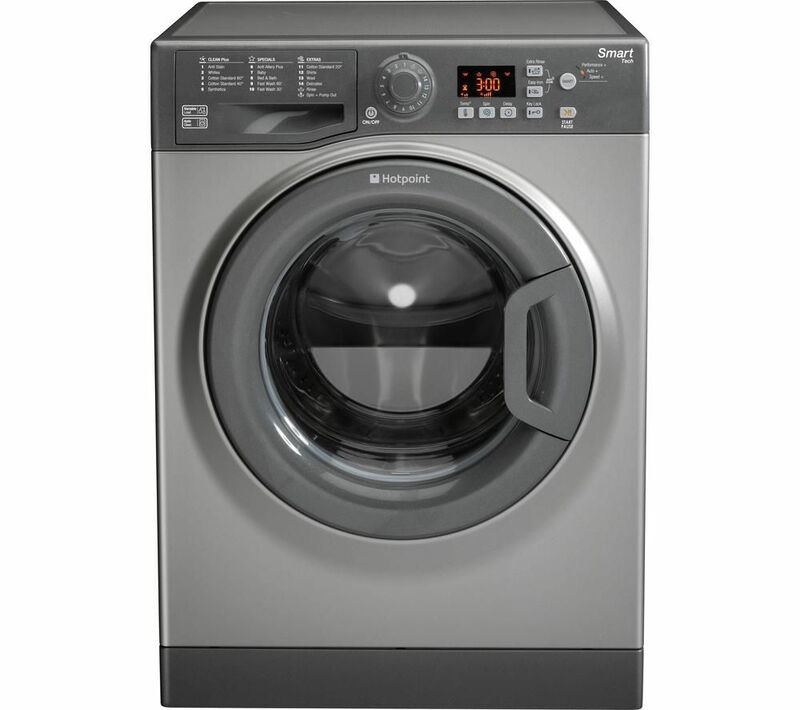 Perfect for the whole family, this Hotpoint washing machine features an 8 kg capacity drum to help you get more laundry done in one go. 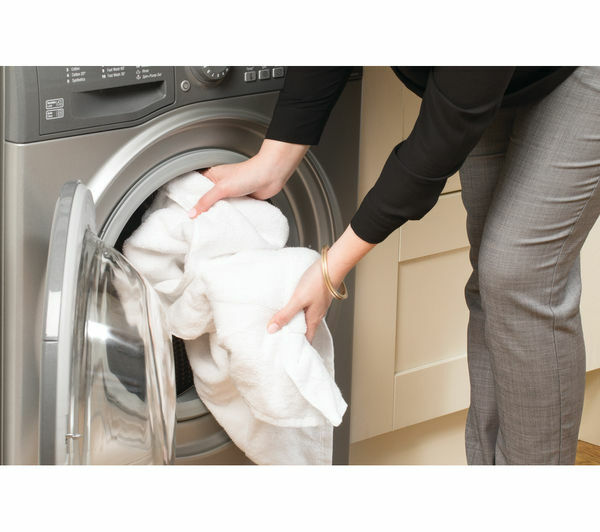 It will spin your clothes at a fast 1400 rpm, removing most of the water so that they dry more quickly and are ready to wear sooner. 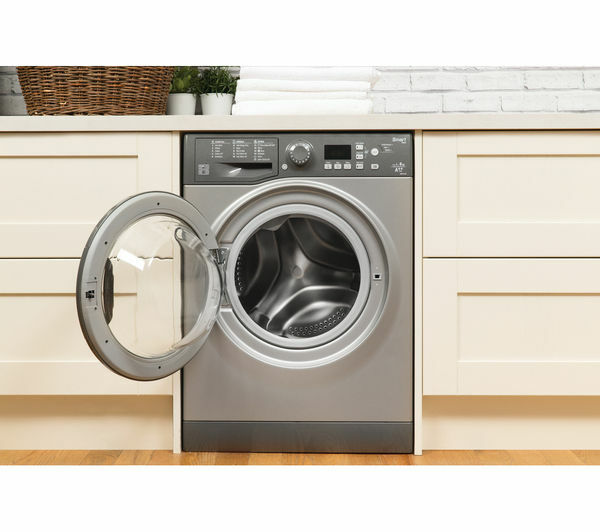 Choose from 16 programs, including anti allergy, eco cycle, baby and bed and bed & bath cycles, to address all kinds of different laundry scenarios. 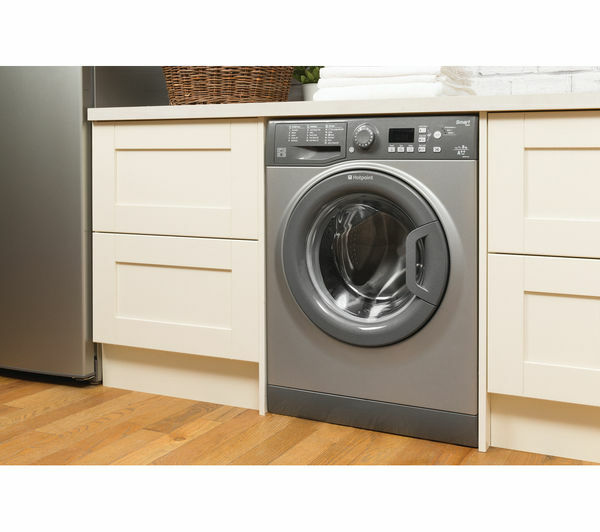 The Anti Stain function is ideal for tackling the 20 most persistent stains, deep cleaning your clothes without needing to use high temperatures and risk damaging fabrics. Those who suffer from sneezes and sniffles will love the Anti Allergy programme, which combines high temperatures (60 degrees) and an extra rinse stage to drastically cut down major allergies including dust, house mites and pollen. 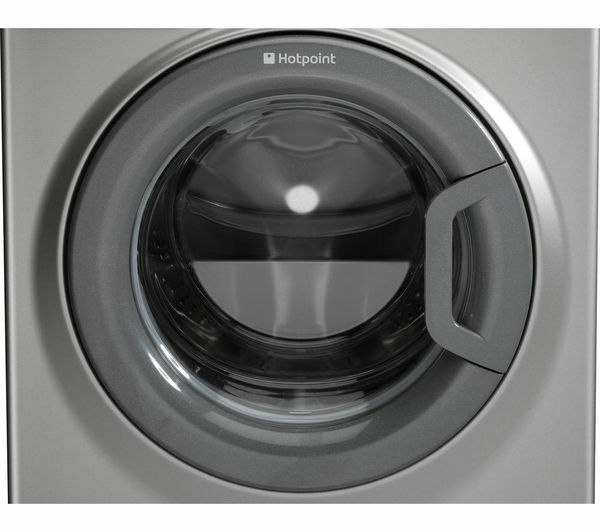 In fact, this Hotpoint program bears the Allergy UK Seal of Approval. 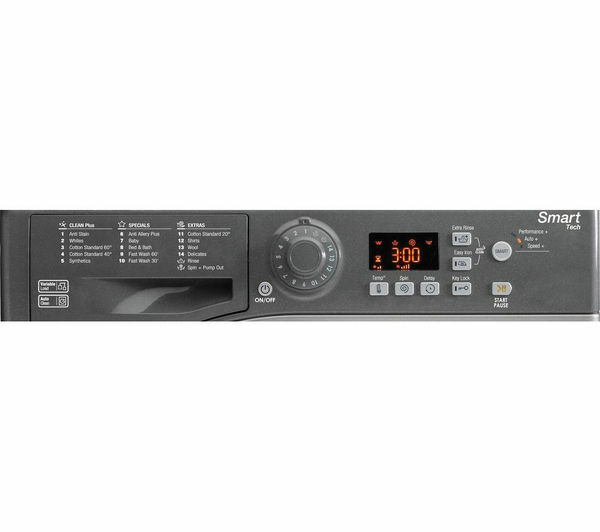 The Smart WMFUG842G also takes great care of your woollen articles, using a low spin speed and extra gentle rotation to minimise inter-fibre friction. It's why the machine sports the Woolmark Platinum Care mark. 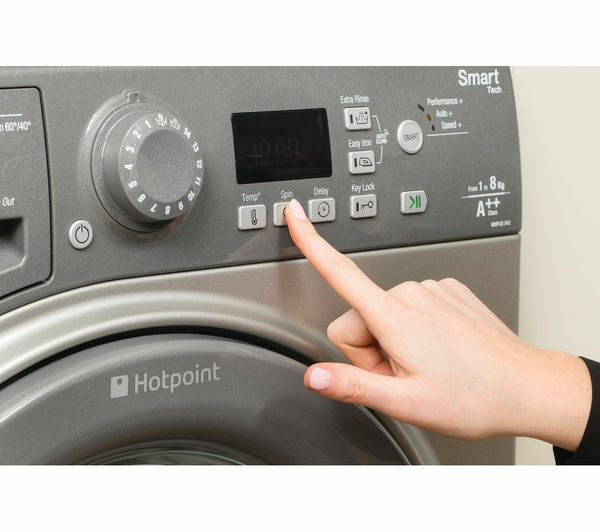 The delay timer lets you delay the wash for a set period of time to commence washing when it's convenient for you. 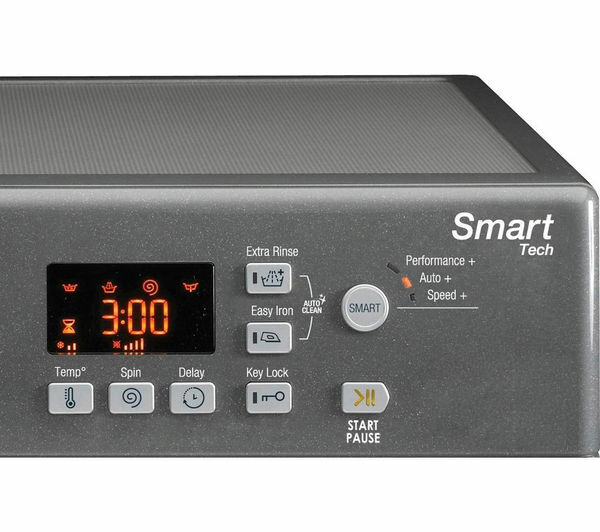 Set it up to start at night when energy costs are lower, or simply to fit in with your lifestyle. 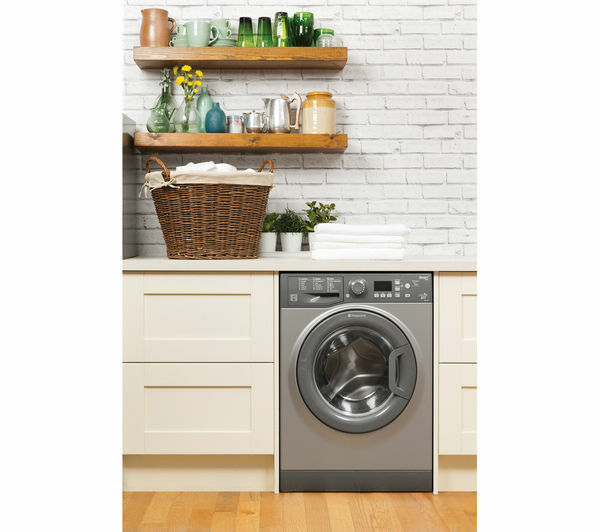 With simple controls, heaps of features and modern style, the Hotpoint Smart WMFUG842G Washing Machine will make a great addition in any home.